On Friday 20th May children will be taking part in a whole school French day. The children will learn about French composers and artists, explore famous French monuments and learn French rhymes and songs. We will also be joined by students from Liverpool Hope University who will be teaching the children all about French food and the Olympic games. 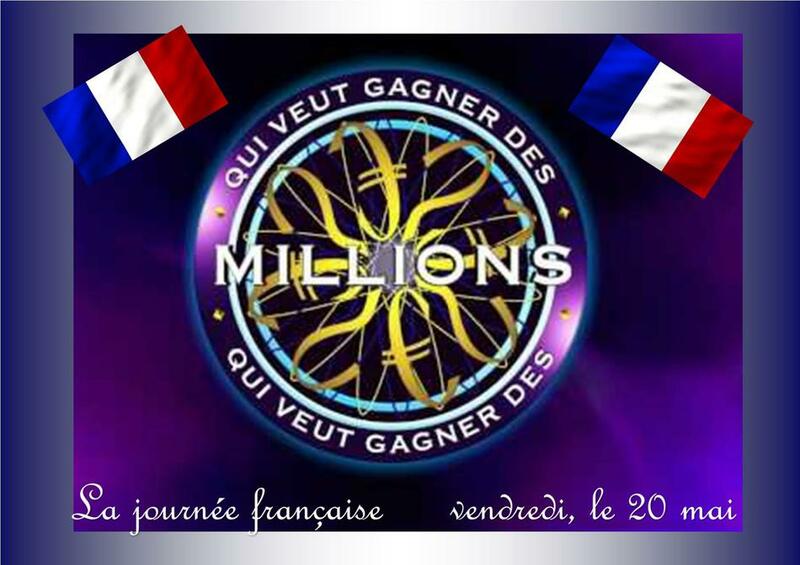 In the afternoon KS2 will be taking part in 'qui veut gagner des millions'. A French 'who wants to be a millionaire' style game show, where children will be showcasing their knowledge of French vocabulary and culture and competing against other classes. On the day children can come to school wearing blue, white and red.